Acephate Surrender Fire Ant Killer is an industry favorite ! Acephate Surrender Fire Ant Killer is primarily used for the control of fire ants and their nests. Highly recommended for use on lawns, trees and ornamental plants. Acephate's special wettable powder formulation provides long term residual control. 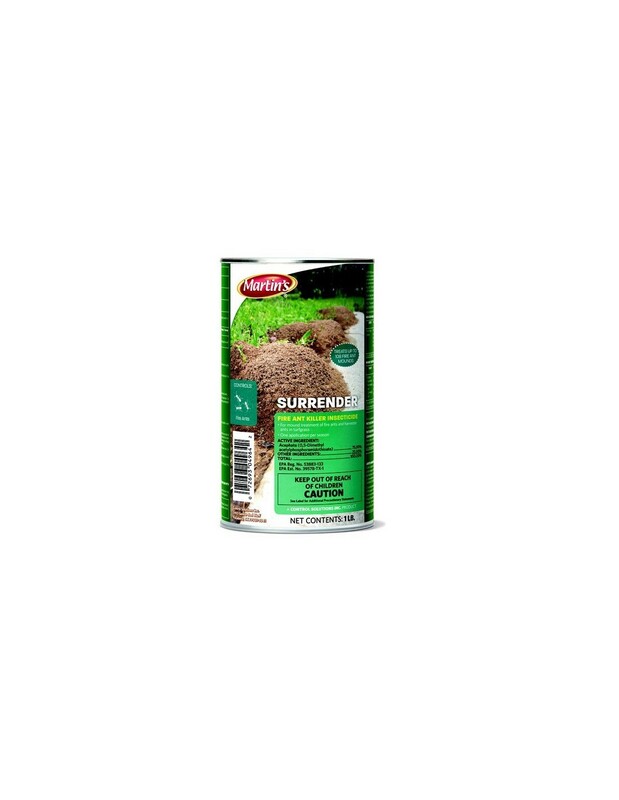 Just one can of Acephate Surrender Fire Ant Killer can treat up to 108 fire ant mounds. 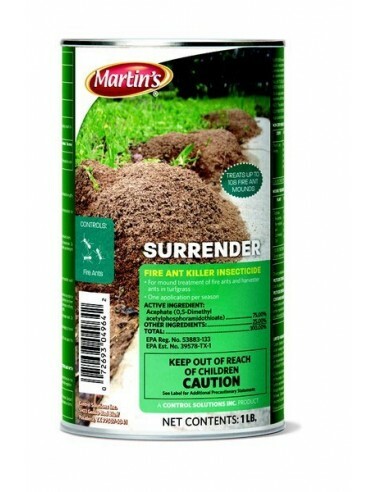 For Outdoor use on selected agricultural crops and in certain non-crop areas such as lawns, trees, ornamental plants, fields, pastures, recreational turf, residential and landscaped turf, and food-bearing plants: Imported Fire Ants (including Ants and Harvester Ants) Mound Treatment in Non-Crop Areas: Evenly distribute 1 to 2 teaspoons over the mound. For best results, apply the material in the early morning or late afternoon when the ants are most active. Imported Fire Ants and Harvester Ants Mound Treatment in Turfgrass (residential, recreational and commercial) Areas: Evenly distribute 1 to 2 teaspoons over the mound.